While you don't eat it or drink it, people are attracted to gold. It's been used as a currency because it doesn't corrode, and the material allows for some absorption of light creating that yellow glow. The value of gold fluctuates from moment to moment, as it is now traded on public exchanges where it's price is determined by supply and demand. 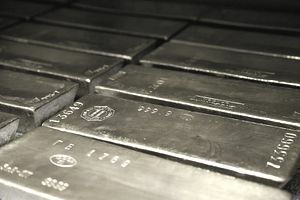 The reasons people buy or sell gold--creating the demand and supply respectively--may be pure speculation, acquiring or distributing physical gold, hedging or commercial application. For day traders, the purpose of trading gold is to profit from its price movements. There are a number of ways to trade gold. The main way is through a futures contract. A futures contract is an agreement to buy or sell something--like gold--at a future date. Buying a gold futures contract doesn't mean you actually have to take possession of the physical commodity. Day traders close out all contracts (trades) each day, and make a profit based on the difference between the price they bought the contract and the price they sold it at. Gold futures trade on the Chicago Mercantile Exchange (CME). There is standard gold future (GC) which represents 100 troy ounces of gold, and a micro gold future (MGC), which represents 10 troy ounces. On the futures exchange, gold moves in $0.10 increments only. This increment is called a "tick"--it is the smallest movement a futures contract can make. If you buy or sell a futures contract, how many ticks the price moves away from your entry price determines your profit or loss. To calculate your profit or loss (your trading platform will also show you, but it is good to understand how it works) you'll first need to know the tick value of the contract you are trading. For a standard contract the tick value is $10. This is because the contract represents 100 ounces of gold, and 100 ounces multiplied by the $0.10 tick size results in $10. That means for each contract, a one tick movement will result in a profit or loss of $10. If it moves 10 ticks, you win or loss $100. If it moves 10 ticks and you are holding 3 contracts, your profit or loss is $300. For a micro contract the tick value is $1. This is because the contract represents 10 ounces of gold, and 10 ounces multiplied by the $0.10 tick size results in $1. That means for each contract, a one tick movement will result in a profit or loss of $1. If it moves 10 ticks, you win or loss $10. If it moves 10 ticks and you are holding 3 contracts, your profit or loss is $30. The amount you need in your account to day trade a gold futures contract will depend on your futures broker. NinjaTrader for examples requires you have $500 in your account to open a position for one E-Micro Gold Futures (MGC) contract. You also need enough in the account to accommodate for potential losses (need much more than $500). To day trade a standard Gold Futures (GC) contract, you need $1000 in your account, plus additional funds to accommodate losses. The amount required by your broker to open a day trading position is called Intra-day margin; it varies by the broker and is subject to change. These figures assume you are day trading and closing out positions before the market closes each day. If you hold positions overnight, you are subject to Initial Margin and Maintenance Margin requirements, which will require you have more money in your account. Another way to day trade gold is through a fund which trades on a stock exchange, like the SPDR Gold Trust (GLD). If you have a stock trading account, you can trade the price movements in gold. The trust trades like any stock. The minimum price movement is $0.01, therefore you make or lose $0.01 for each share you own each time the price changes by a penny. Stocks and ETFs are typically traded in 100 share blocks (called lots) so if the price moves a penny and you are holding 100 shares, you make or lose $1. If the price moves $1, from $120 to $121, you make or lose $100 on your 100 share position. If you are holding 500 shares, you make or lose $500 on that same price move. The amount you need in your account to day trade a gold ETF depends on the price of the ETF, your leverage, and position size. To day trade stocks or ETFs in the US, you're required to have a $25,000 minimum balance in your account. Depending on how much income you want to generate and your leverage, you may wish to have more than $25,000 available to you.